Begin your road to recovery at Centerstone Behavioral Hospital and Addiction Center, where we offer you a comfortable and supportive environment to meet your individual needs. We support your recovery each step of the way. Begin your road to recovery at Centerstone Addiction Center, where we offer you a comfortable and supportive environment to meet your individual needs. As leaders in the field of psychiatry and addictions, Centerstone Addiction Center provides residents with the therapy, support and tools that sustain a personal path to recovery. The program focuses on individual challenges and triggers to support your personal situation. Located on a 16-acre former county park, we offer wellness and healing. How will I know what treatment path is right for me? 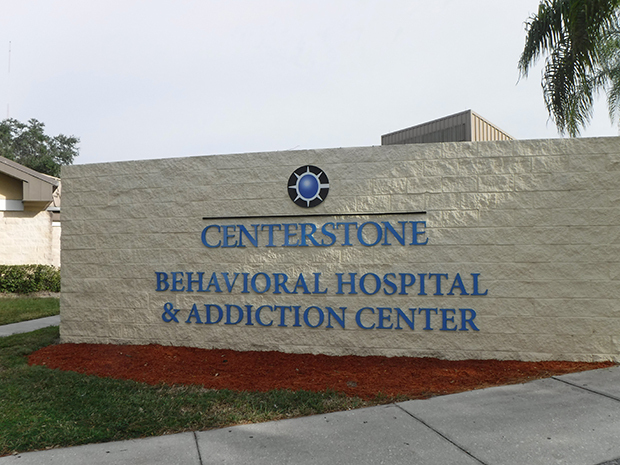 Let Centerstone Addiction Center care professionals navigate for you! We will help remove any reservations and anxiety you have about finding the right care option. We listen and tailor your care plan to fit your specific needs. We always offer medical and therapeutic support in a confidential and private setting. Begin your recovery in relaxed and private surroundings. Our medical team monitors you during your entire stay to ensure your comfort and safety. Continue your recovery with around-the-clock support from your care team. Learn, reflect, and find serenity in our full service Addiction Center. Group and individual therapy, along with medication assisted treatment and psychiatry services are here for your long-term success. Designed specifically with your needs in mind, we offer you all of the benefits of residential care with the option of day only or adding room and board. Medication assisted treatment, group, and individual counseling are all available to you. Your path to long-term recovery is supported by our team of experts. Here we cater to your individual needs through medication assisted treatment, groups, and individual counseling. Our evening program offers all of the support you need to recover while building your new life. What other services and amenities are available to me? Please call our Centerstone Treatment Consultant at (941) 782-4600 to discuss your specific needs, and begin your path to wellness. Regain control of your life with us today! Visitors must attend a one hour orientation before visiting.Orientations are 1 p.m. on Saturdays. Visiting Hours are 1 to 4 p.m. on Saturdays. Vising Hours in the Hospital and Crisis Center are Monday – Sunday 4 to 5 p.m. Two visitors are allowed at one time, children under 12 will need approval from staff. If you need to visit at a different time, please contact your loved one’s case manager to arrange. We are happy to accommodate your special needs. Visitors must attend a one hour orientation before visiting. Orientations are 1 p.m. on Saturdays. Visiting Hours are 1 to 4 p.m. on Saturdays. Is Medication Assisted Treatment the right choice for me? Centerstone Addiction Center is here to support you on your journey to long term recovery. We understand that it can be extremely stressful to begin this process, therefore, our MAT track will help reduce your anxiety and provide you a safe and comfortable detox. Our goal is to help you cope and begin enjoying your life. We will listen you your concerns and with your individual needs in mind, we will help choose the medication option that is right for you. Our full range of treatment options include, but are not limited to anti-depressants, and mood stabilizers, as well as Buprenorphine and Naltrexone tablets and injections. Medication Assisted Treatment is an essential part of comprehensive treatment for substance abuse. Our Addiction Center offers a state of the art and unique approach to help begin your journey towards successful recovery. You will learn coping skills and become more aware of your relapse triggers. Will I feel supported throughout my addiction recovery process? Our care team will support you with every step of your journey with us! Centerstone Addiction Center will always provide a clinical assessment and together, we can help you decide the best tailored approach to you care. We will offer you education and safety information regarding all medications. You will receive medical monitoring, which can range from 24 /7 to once per month depending on the level of care right for you. You will have access to the appropriate level of engagement monitoring including step-down treatment options. Tailored treatment is key to successful recovery. The length and intensity of your plan will be between you and your care coordination team. Healing from Trauma: Group works on reducing stress, anxiety, and fear leading to a greater sense of security, safety, and overall satisfaction with your life. Recovery Support Groups: Open discussion, recovery focused, supportive groups facilitated by a recovery coach. Family Roles: Group focuses on identifying who you are, how you relate to people, how people relate to you, and what influence these aspects have on your life. Provides tools for changing your life and improving your relationships. Open-Minded Thinking: Group focuses on how your thoughts and feelings relate to behaviors. Examining these connections can improve communication with others, decrease anger, sadness, and frustration. Managing My Emotions: Emotions are a vital part of our everyday lives and this group focuses on being able to alter your thoughts and reactions to help build your confidence in your own ability to cope with life and gain emotional fulfillment. Holistic Healing: The practices of aromatherapy, yoga, massages, and acupuncture to assist in addressing and connecting the whole person-body, mind and spirit. Grief and Loss: Losses happen at unexpected times and in unexpected ways in life resulting in separation causing grief and sadness. The group focuses on how to maneuver though the grief process after both unexpected loss and planned separation. AA/NA Meeting: In house 12 step meetings provided by volunteers in the community. Nutrition: Group works on identifying a connection between physical health and recover. Explores and establishes a balanced diet and healthy eating habits. WRAP: Your Keys to Wellness and Relapse Prevention: Group is centered on developing a plan to prepare oneself for the good and not so good days of living with co-occurring illnesses. You will develop a personal recovery plan that can be used to enhance their recovery efforts. Intensive Outpatient Services and Program: Group is offered 3 times a week and includes a comprehensive curriculum for recovery including approaches that address the mental, physical, emotional, and spiritual needs of each unique individual. The group topics help identify changes needed for a return to a healthy, meaningful life without drugs and alcohol. Smoking Cessation: Group provides education on nicotine withdrawal and nicotine replacement options, explores dealing with triggers and overcoming cravings, and works to develop tools for a successful quit plan. Sober Recreation: A variety of activities including nature walks or beach days that promote interactive and enjoyable life experiences, addiction free. Parenting Groups: Evidenced based curriculum to work on improvement of parenting skills and your child’s behavior.